This particular form helps to keep a track of the mileage covered by different employees over a particular phase of time. The form includes each and every detail regarding travel. Starting from the date of the journey, then starting point, destination and a destination note, everything is included in the form for an appropriate study of the mileage travelled by a person. Every employee is entitled to claim the reimbursement of the transport service avail by him. This form helps in dealing out the reimbursement process. The form is used as an officially permitted document to get back the amount spent in travelling. 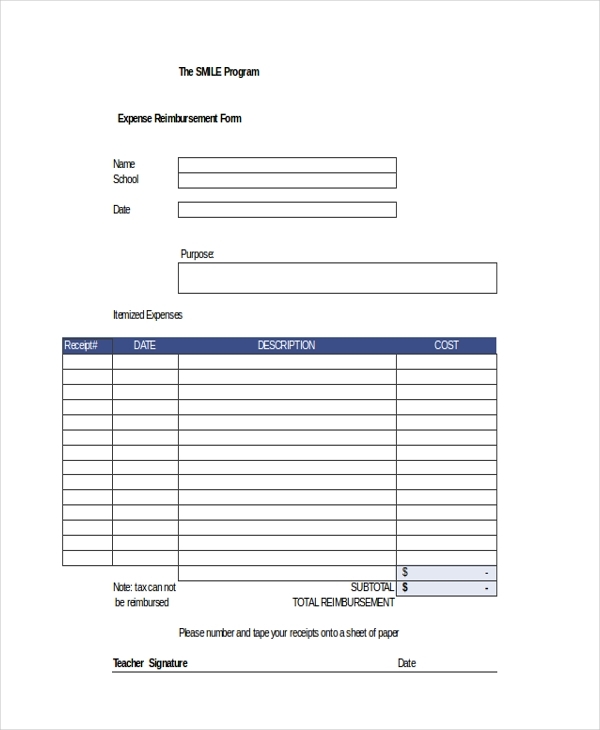 After filling this form with essential details, the employee should give it to the employer to get back the reimburse sum. This form is applicable at every division of an organization for all the employees who comes under the arena of reimbursement. 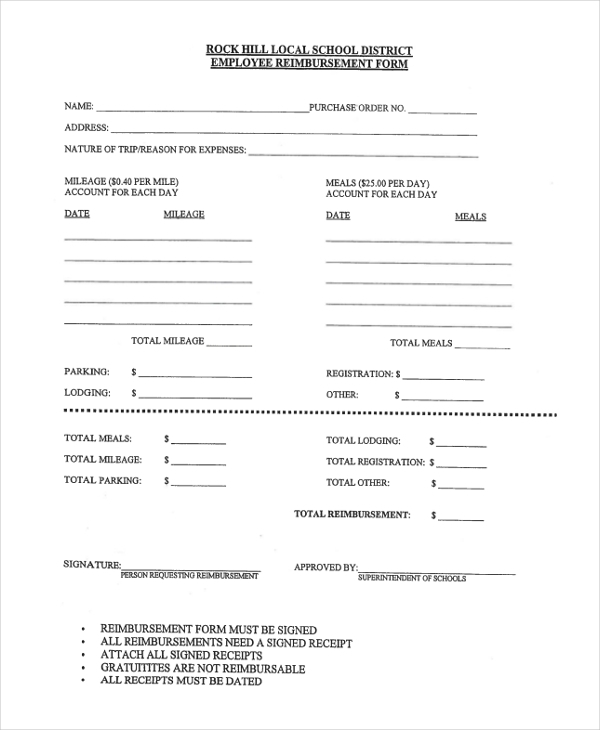 This form is also used to get back the reimbursed amount of transportation. Over here, the process takes place over the non employees. If an employee is travelling with his whole family, in that case the employee can get the travel expense for his family as well. All the organization gives transport facilities not only to the employee but also for his family as well. 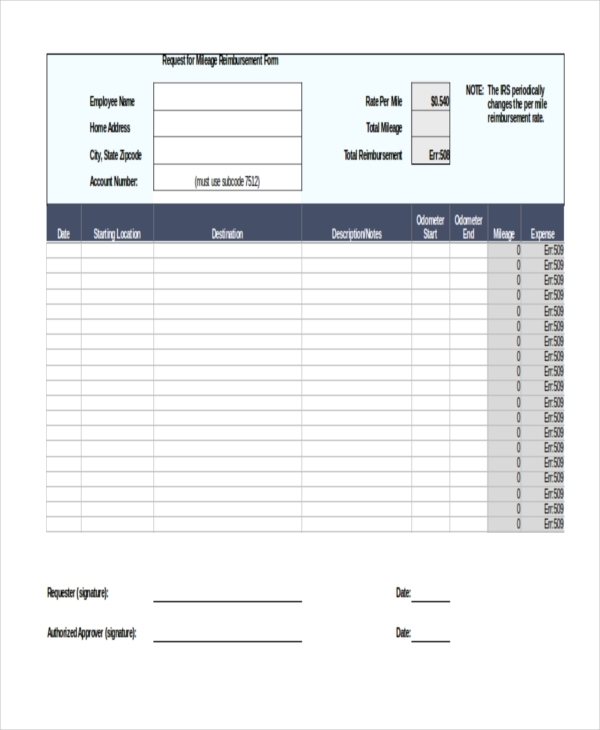 This form is used to reimburse the amount spent in travelling for guests. If an employee is travelling with his family and as well as with his guests then the employee can claim the reimburse amount even for the guest. Whether it is family or it is guest, the organization is bound to give an employee the expenses which have been made during travelling. Employee tuition reimbursement is a form which can be used by an employee regarding study purposes. It means if the employee himself is a student then the association will give the employee his tuition fees. If any family member of an employee is a student, then also the employee can claim the amount which has been incurred on tuition purposes. 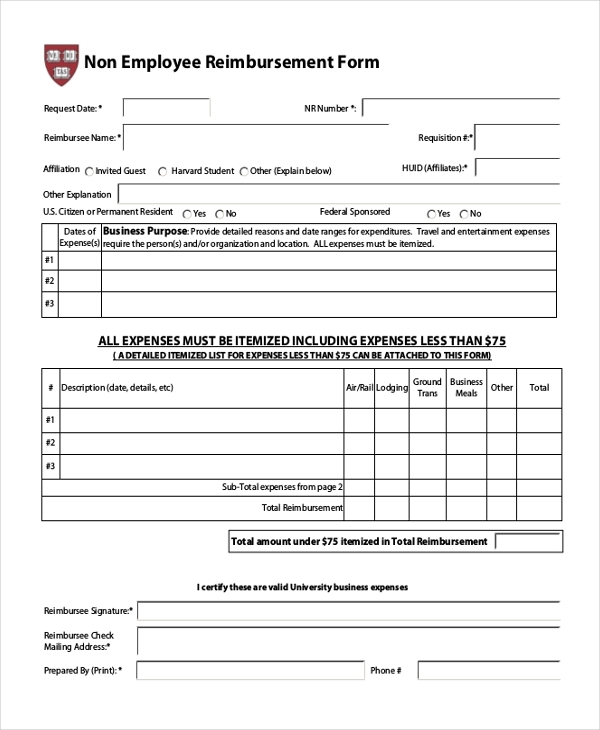 This form is specifically for those people who are an employee of Harvard University. 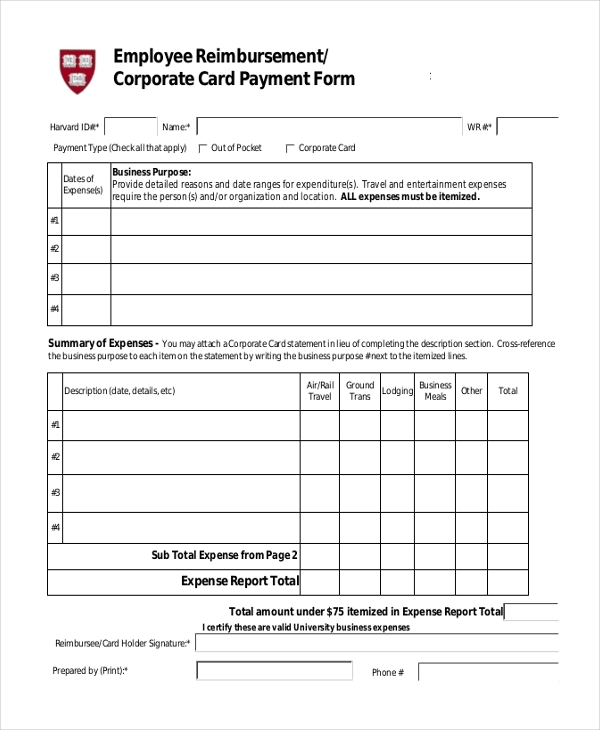 Through this form all the employee of Harvard university can reimbursed their amount which they have spent on travelling or for tuition purpose or for medicinal purpose. This form is authorized only for the employees of Harvard University. 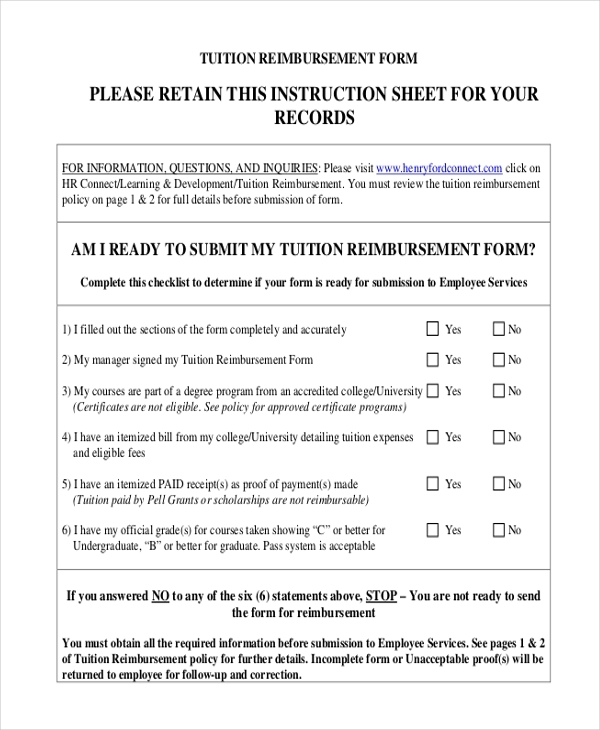 This form is another version of all the reimbursement form. This is the initial form before an employee’s travelling. 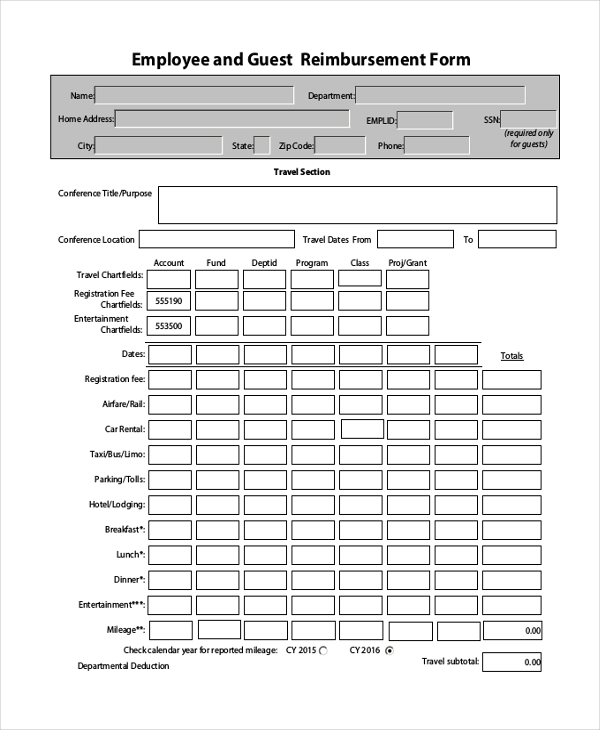 Before starting the journey an employee has to fill this form the get the allowance from the organization. What is an Employee reimbursement form? All the employees in an organization need to travel to various places for the business purpose. In this case, the expense of travelling which is incurred by an employee gets reimbursed from the organization with the help of this form. This form acts as an authorized document for reimbursing the amount spent. The company gives back the total amount spent only on the basis of the details given in this form. The form contains many complex details like the date of the journey, reason of the travel, distance covered and sometimes the number of passengers. Some times it’s not only about travelling an employee can reimbursed the amount for tuition fees as well. All the details are filled by the employee and along with this there are various bills and receipts which need to be submitted for reimbursement. There are various categories of this particular form like – Employee Mileage reimbursement form, Employee expense reimbursement, Non employee reimbursement form, Employee and guest reimbursement form, Employee tuition reimbursement form, Employee T & E reimbursement form, Employee reimbursement form Harvard, classified reimbursement form etc. Fast method of reimbursement- This form helps in a very fast process of reimbursement. Through this form the employee can effortlessly get the amount spend on travelling from the organization. Even the refund also takes place very quickly because of this form. It is considered to be the only valid proof- No other document is needed, if this form is providing reimbursement. This form is considered to be the only document which any association needs in the procedure of refund of amount to the employees. Contains accurate details- This form contain all the details which are completely valid and there occurs no chance of incongruity. The employees fill the form with precise details to get back the amount. Future reference- This form is also used for future use. In the future, if there are any issues, then this form can be used as a authorized document. The use and purpose of an employee reimbursement form is to reimburse the amount to the employee. An employee spends a huge amount on travelling and for study it is the duty of the association to reimburse to its employees. This form is the only lawful proof in the procedure of reimbursement. All form of travelling expenditure is done with the help of this form. Every organization keeps a reimbursement form for the employees and allowance them the amount on the basis of the facts given in the form. An employee reimbursement form is a kind of form which is commonly used as a document for the reason of reimbursement. This particular form is used by more or less every business in refunding the amount spent by its employees in travelling. This form reimburses all the travelling cost within a particular phase of time. All the details regarding the travel are filled in this form. This is the only document which serves as a correct and an authorized one to get back all the travelling allowance. Every person working in various organizations can use this particular form.